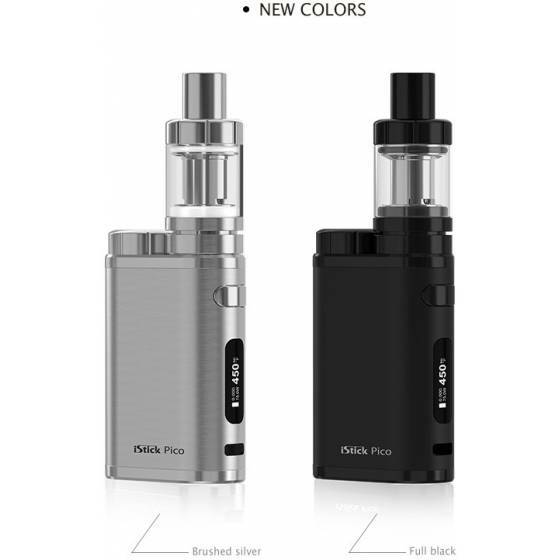 The Eleaf iStick Pico is the newest mod to join the vaunted Eleaf family, featuring a design overhaul guided by JayBo Designs to produce one of the most compact 18650 platforms with the capability to fire up to 75W. 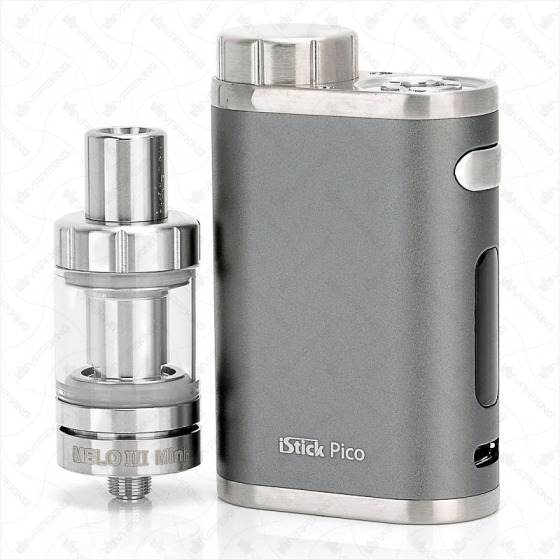 The iStick Pico features one of the most compact 18650 platforms measuring at 45mm by 23mm by 70.5mm coupled with incredible range and versatility as compared to it's size. 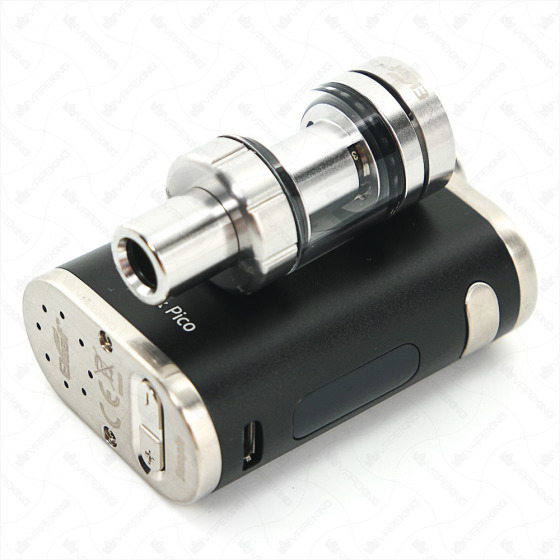 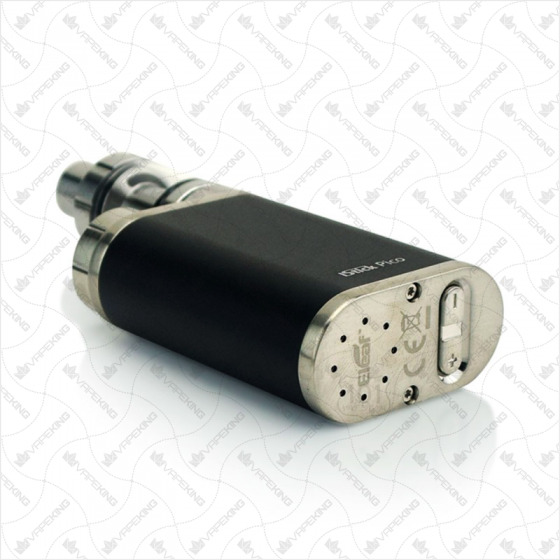 The iStick Pico has a power output range of 1 to 75W with a 0.1 to 3.5 ohm atomizer resistance. 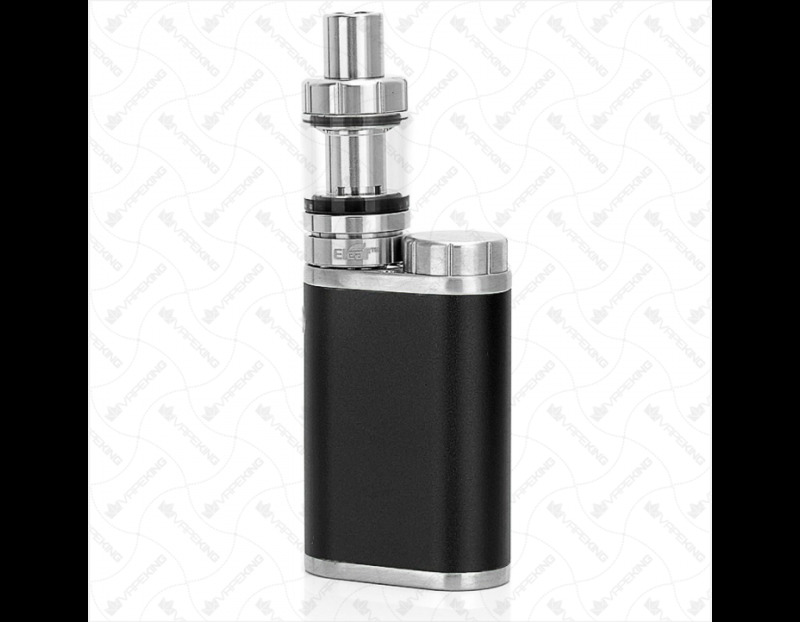 With an emphasis on creating one of the most ergonomic and well balanced chassis designs to date, the Eleaf iStick Pico features a top loaded battery cap that allows the fitment of 18650 batteries, with the cap extending one half of the overall height by 5.5mm. 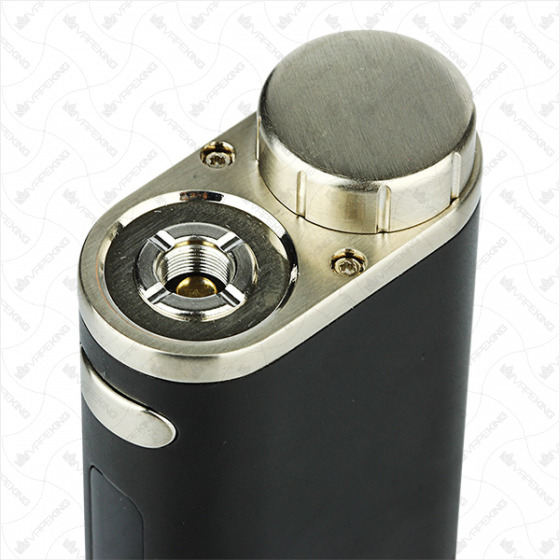 The control face measures an incredible 65mm in height from base to 510, achieved by moving the up and down adjustment buttons into a recess located in the base. 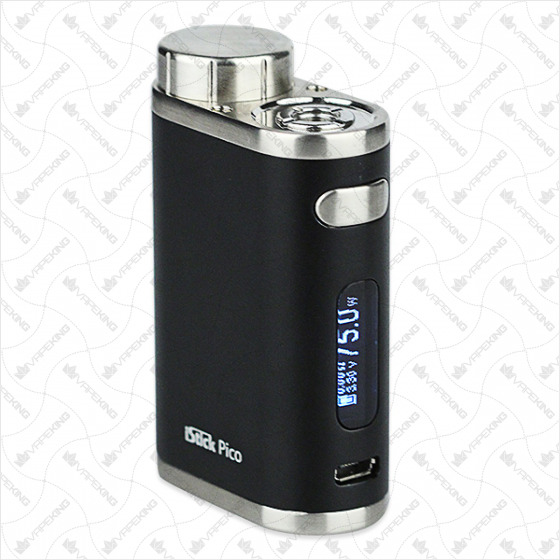 The iStick Pico features a full sized OLED screen that displays output wattage, output temperature, atomizer resistance, and battery life. 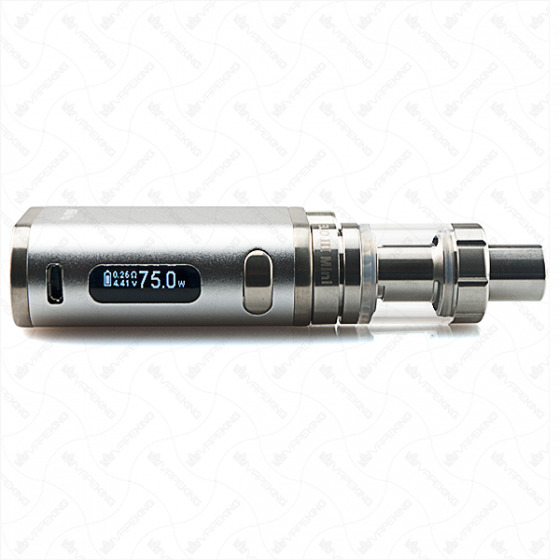 The accompanying Melo III Mini fits into the overall dimensions organically, and features a 2ml top filled tank reservoir alongside a hidden yet adjustable airflow adjustment. 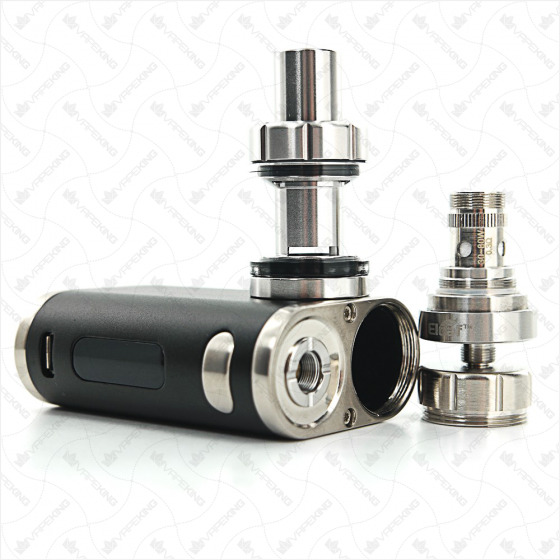 Each set includes a 0.3 ohm and a 0.5 ohm Kanthal coil, with a range of 30 to 80W and 30 to 100W respectively, while having the flexibility to be used with Atlantis, Triton, and cCell coil structures (sold separately). 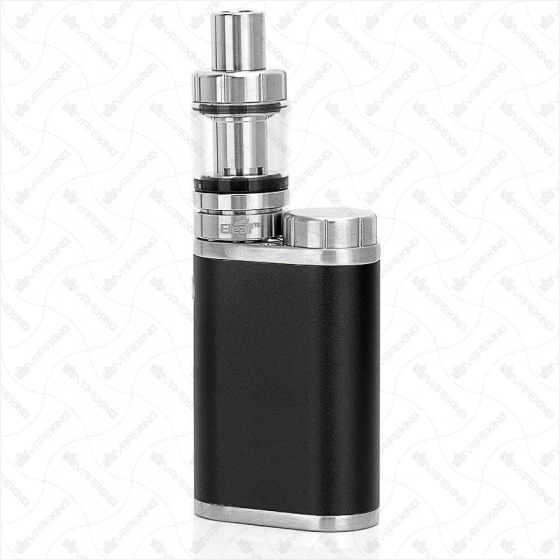 A pinnacle in chassis design that combines great ergonomics, a compact form factor, incredible performance, and a well balanced Sub-Ohm Tank, the Eleaf iStick Pico 75W Starter Kit by Jay Bo Designs establishes itself as one of the premiere everyday devices.